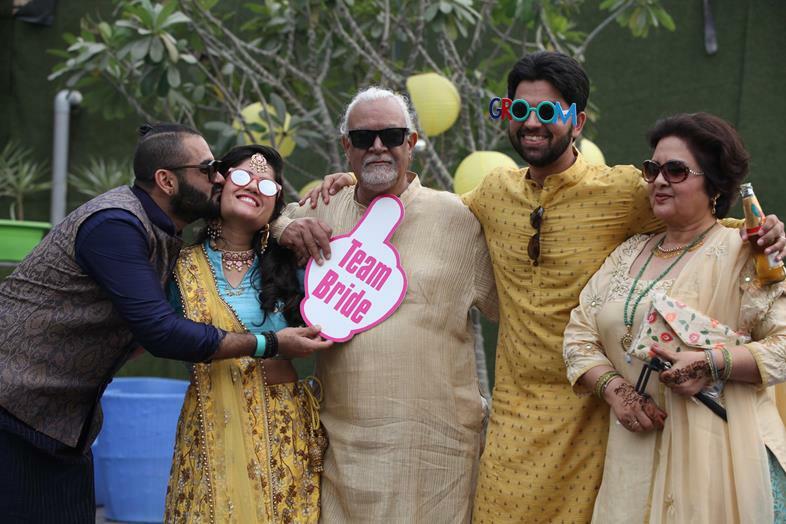 Home » Blog » DanDiti – A Delhi Wedding With A Fab Holi Party Mehendi Full of Personalised Ideas ! 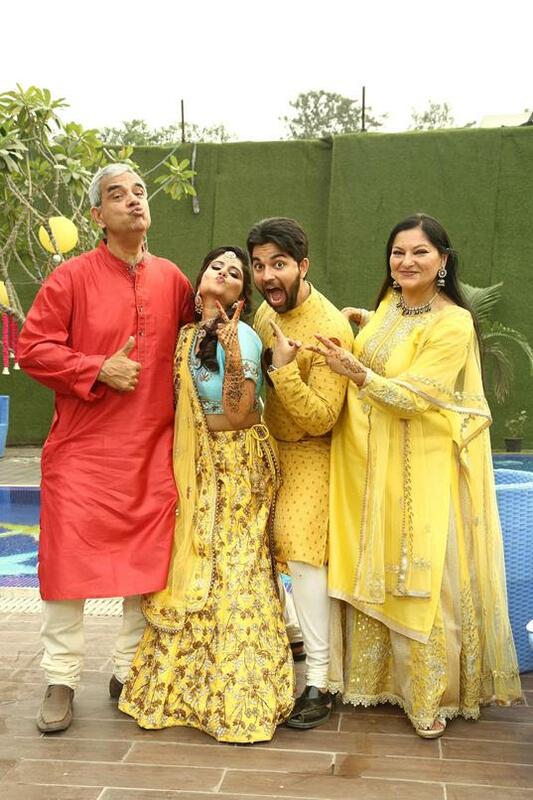 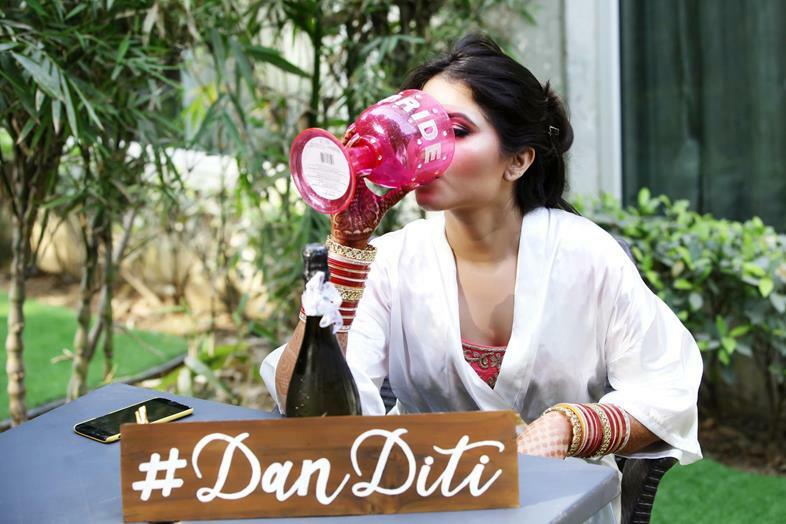 DanDiti – A Delhi Wedding With A Fab Holi Party Mehendi Full of Personalised Ideas ! 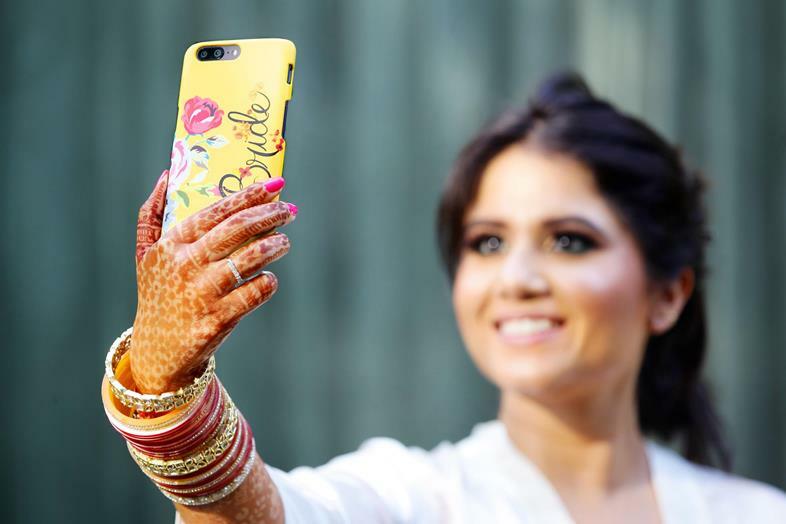 Looking for a cute theme and personalised ideas for your Mehendi? 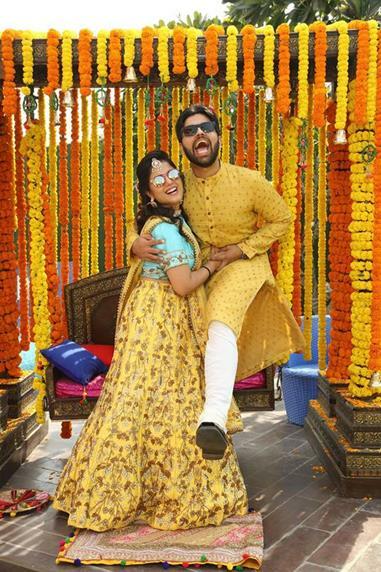 Take some inspiration from Aditi and Dhanurdhar’s Delhi Wedding. 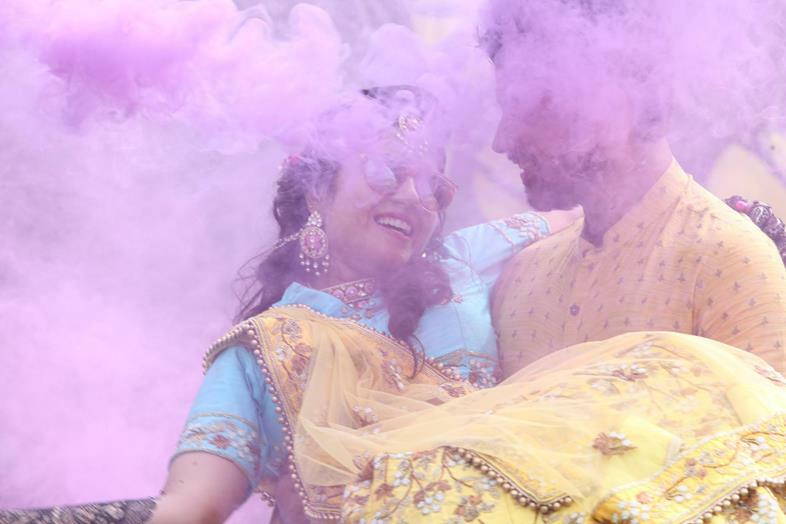 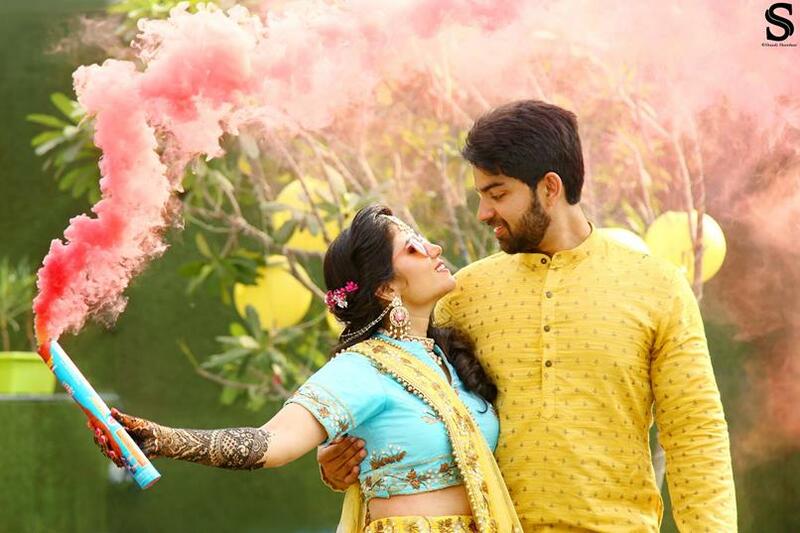 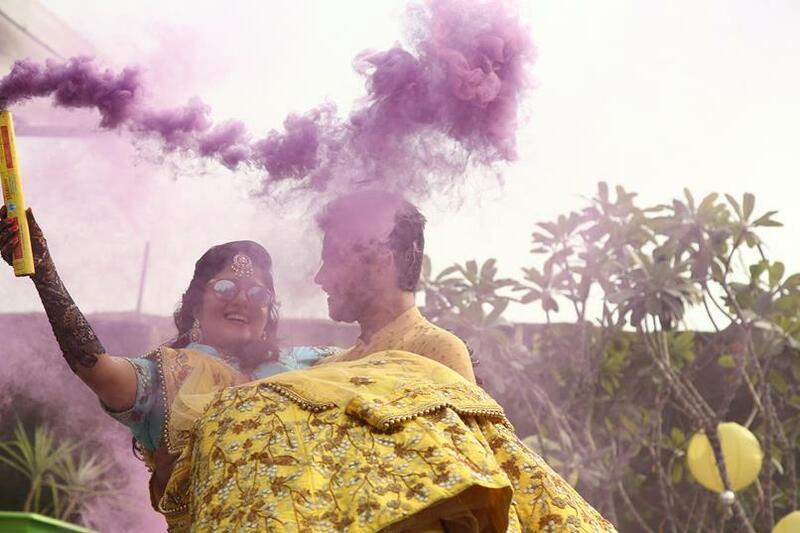 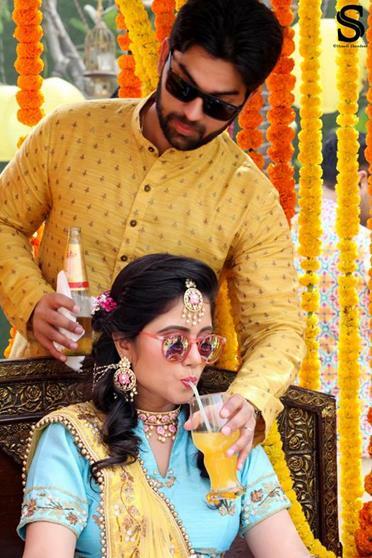 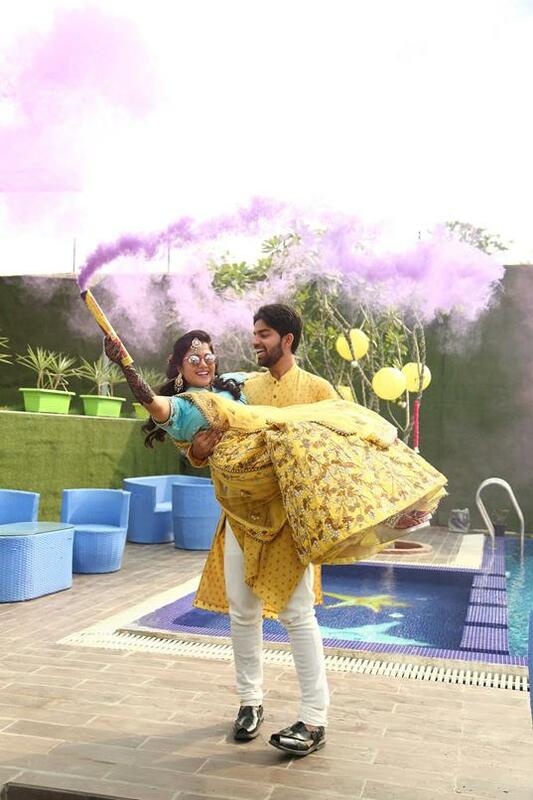 These guys had a super cute Holi Party Mehendi with lots of personalised details, giving us Major Destination Wedding feels, and superb ideas to steal! 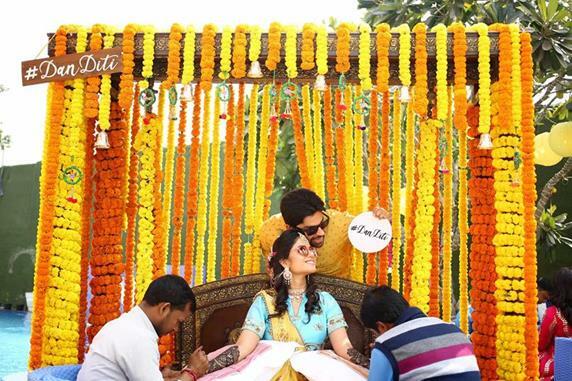 Right from the Hashtag to their personalised photo props, their details made our jaws drop! 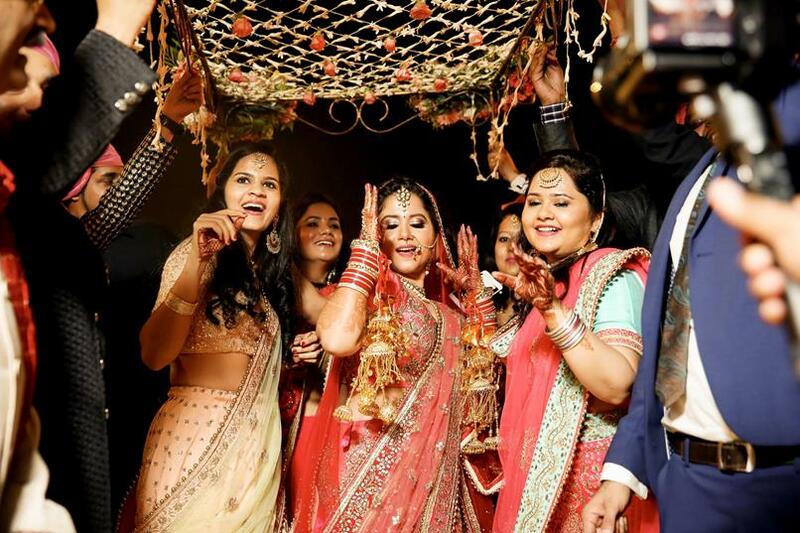 Something pretty and sweet, guests will surely enjoy this Treat! 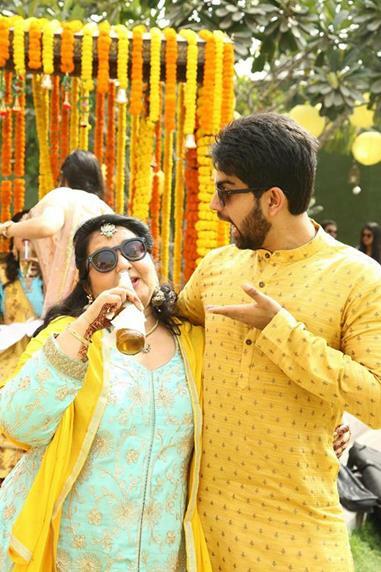 Look at the groom’s cute personalised Hipflask – liquid courage as he takes the plunge and dip, while his bride gets her own dose sip by sip! 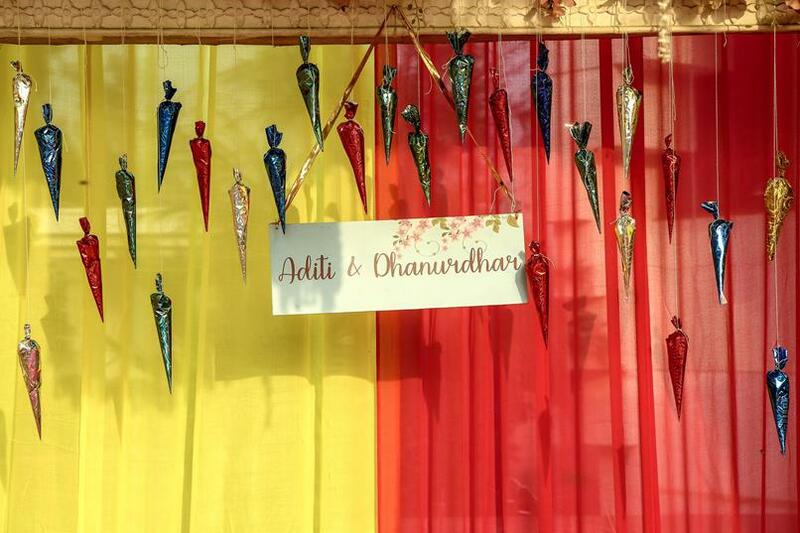 Love How Aditi and Dhanurdhar had made their entries special. 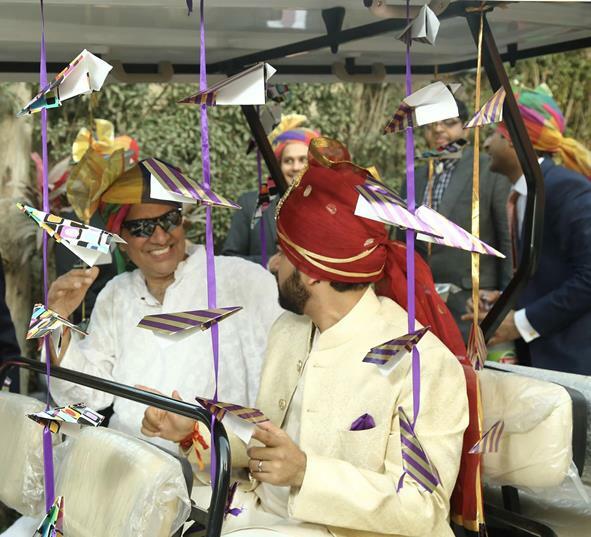 Since Dhanurdhar is a pilot, he chose to enter in a Golf cart adorned with Paper Planes. 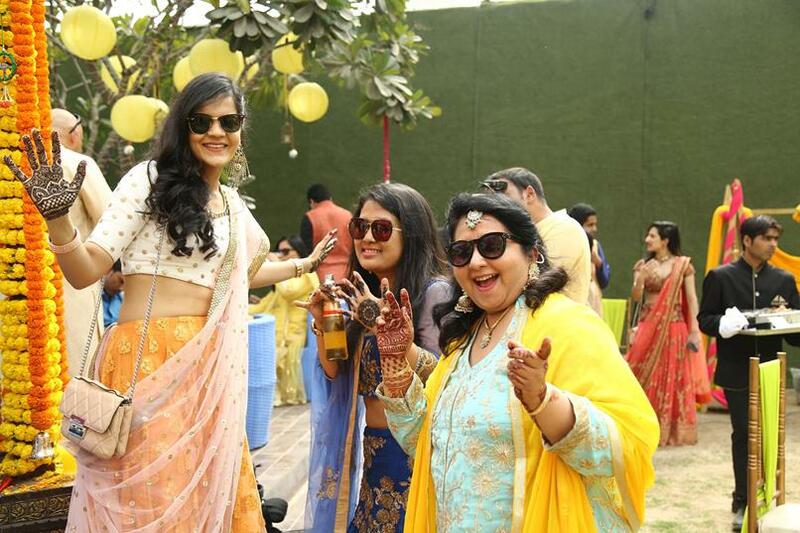 While Aditi the bride, entered dancing in with all her mains *love*. 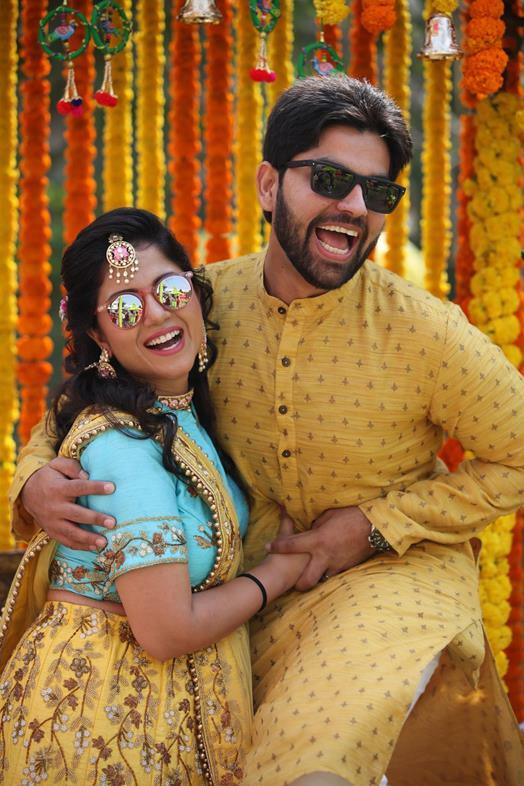 These are definitely entry goals for the groom and bride! 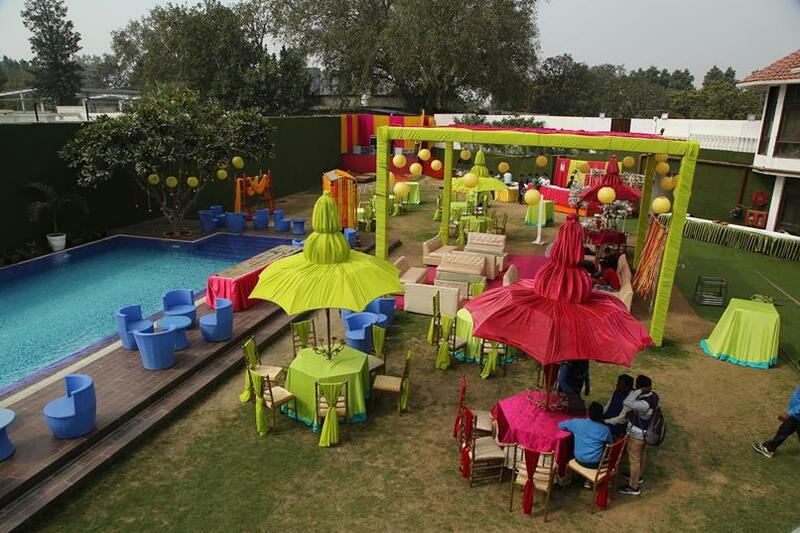 Head here for some fab. 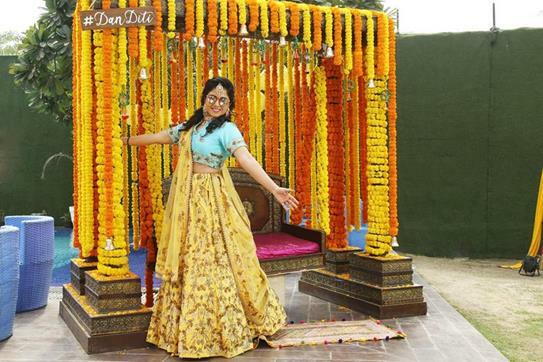 Bridal Entry ideas. 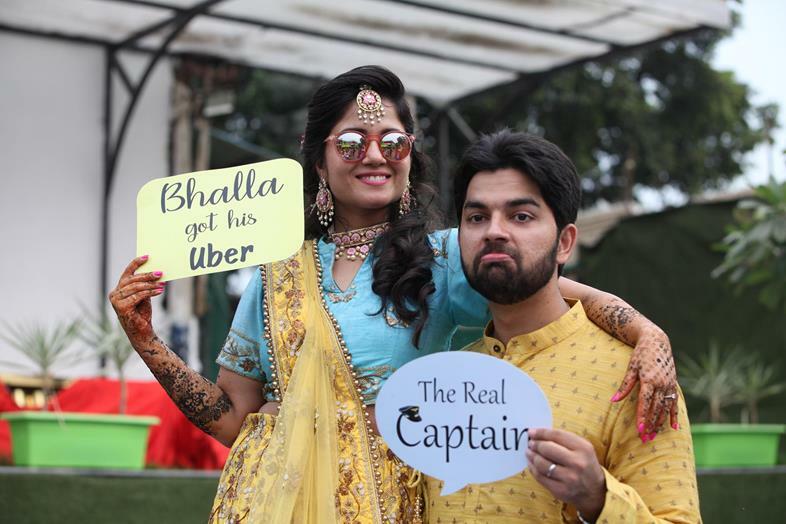 Groom’s outfit: Dressage | Bride’s outfit: Designed by the Bride Boss herself.